It's been far too long since I've done a Manga Mondays. I'm going to try to get back into the habit. In some ways volume 2 of Boys Over Flowers is a mess. It starts off in the middle of a scene without any context. If it's a continuation from volume 1 I've forgotten it. To make matters worse, it feels like there's a dozen separate subplots. I also didn't like that Tsukushi came off as a crying, weak girl for some of the volume. Granted, she becomes brash and defiant once again when her friend is threatened by the F4 but still. I particularly disliked when she was love sick over Rui's childhood love coming back from France. But when I get sick of one subplot or characterization it changes for the better. The leader of the F4 is a jerk but I still kinda like him. Rui's quasi girlfriend turns out to be super nice and much stronger than Rui. If you can put up with a lot of silliness Boys Over Flowers is great fun. I'm still having a good time. Yes, you have to take the silliness along with the great characters. Tsukushi does have her weak moments, like we all do, but I love to see her bounce back with renewed confidence. I also have a love/hate relationship with Tsukasa. He can be sweet at some moments but then a complete jerk the next. As for Rui, still up in the air about him. 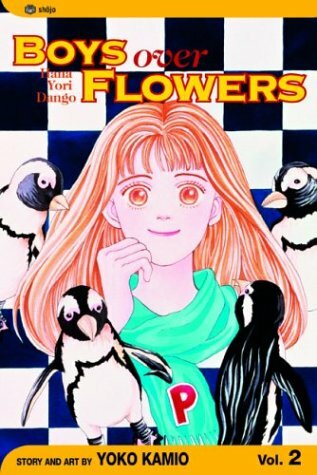 It's been so long since I've read this series but I remember it being cute. I remember how it ends lol that's about it though. I didn't read this Manga but I have watched the series (hana yori dango, meteor garden and boys over flower). If you like reading Manga, you might want to try Orange Marmalade and Maid-Sama. Those two are my current favorite however, I'm not sure if it's available worldwide. I read it online though.